Electro, EBM, or experimental / minimal techno. colors and is missing fat bass energy or heavy analog character necessary for these styles try to apply Dubshox H8 as effect. distortion but without sounding too loud. 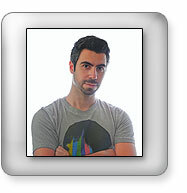 DUBSHOX is designed to offer very fast work yet perfect sounding results and wide sound creation possibilities. Additionally you can add some futuristic / post apocalyptic character of sound with Neurofunk unit - aimed mainly for dark styles of drum and bass. Limitation of the demo version: short noise sound about every 50 seconds. I've been constantly using DUBSHOX H8 since the day it came it. 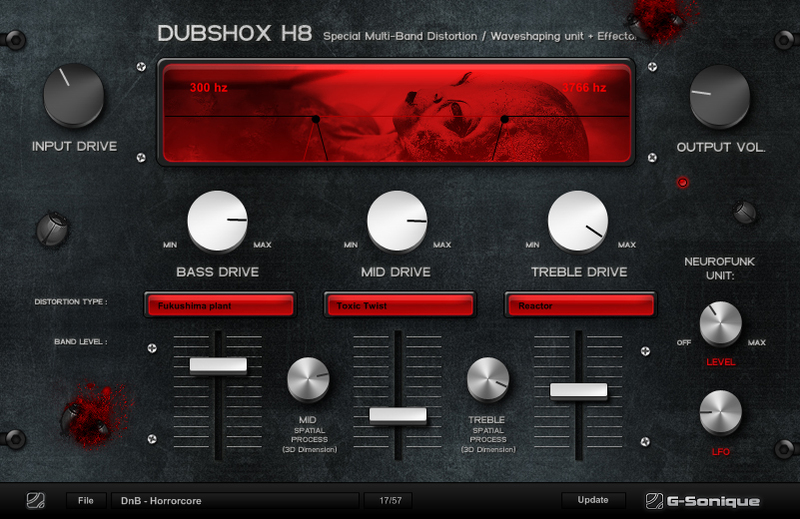 DUBSHOX H8 is my tool for beefing up my basses & distorting up my leads/fx. I own many other Multiband Distortion units, but DUBSHOX H8 has that unique sound that i cannot get anywhere else.